It has been about a week since the Stillwater Half Marathon and I am still a swirl of emotions as I sit here and reminisce about my 5th half marathon. Last Saturdays half was tough, it was the type of race that people say will make you stronger. It was/is a race that I should be proud of, yet in some ways I am not… in some ways I am utterly disappointed. What started out as a promising race (pace felt good, legs felt good) quickly turned sour. Around mile 7.5 I felt myself coming apart, stomach cramps, slight nausea, and exhaustion (you know all the things runners dread in a run). I had to mentally tell myself I was "OK" and to just keep moving forward, my great pace unraveled and I quickly went from “let’s crush this race” into “let’s just finish the race” mode. Multiple times I thought about stopping, especially when I saw Derek and my parents at mile 8.5. I remember seeing them all standing there cheering for me and thinking… I could just end all this pain now and be done! But I didn’t stop, I kept going, I pushed on, I persevered. Looking back on the race I am so glad I did not give up. 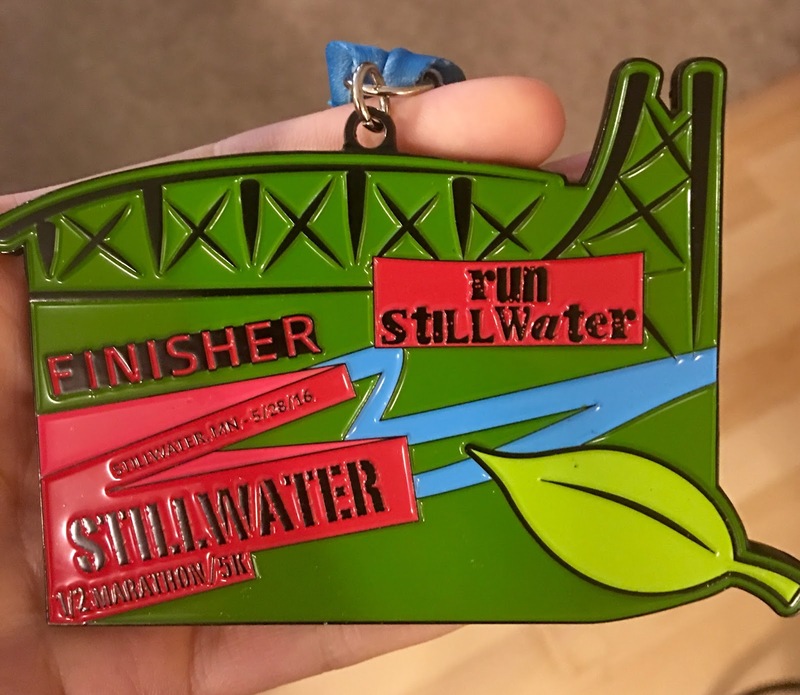 While I am disappointed in my time (this was my slowest half marathon) and wish I could have performed better, I am thankful for the experience. While it may not have been the race that I set out to run, it was a race that taught me many things. It taught me that my drive and desire to finish something I started is much stronger than I ever thought. This last race showed me what it means to be a part of a running community as I cheered and encouraged a first time half marathoner across the finish line (seriously coolest experience EVER)! But most importantly this last half taught me that sometimes going out and having fun is more important than setting a personal record. 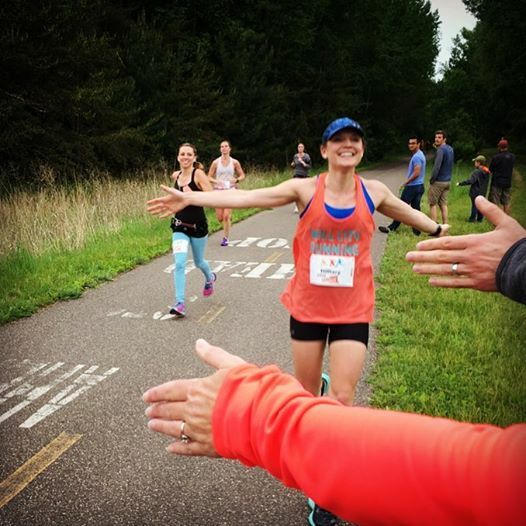 As a runner and a slight perfectionist I am guilty of getting wrapped up in the training, getting faster, and beating old race times that sometimes I forget to have fun while running. This last race was a good reminder to not take myself so seriously, and to remember that there will be good days and bad days in running, but that is just the nature of the sport I have grown to love. There will be other races, other triumphs, and other failures, I just have to remember to keep moving forward and enjoy the run!